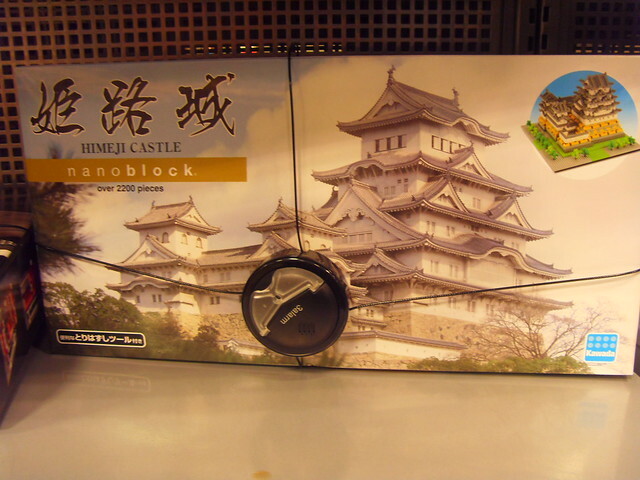 PennsylvAsia: Build yourself a Himeji Castle. With micro-sized building blocks, 3D buildings are constructed like never before! Watch in amazement as buildings are erected to even the tiniest detail. Japan’s hilltop Himeji Castle is regarded as the finest surviving example of prototypical Japanese castle architecture. Watch as this gorgeous castle takes shape right beneath your fingertips with over 2200 assorted color and size pieces, perfect for any nanoblock enthusiasts. Finished size: 7.9” w x 7.9” d x 5.625”. Includes detailed instructions. Not designed for children under age 14. Last April I found a discontinued Lego Sungnyemun kit at the Cranberry Barnes & Noble, though as I posted at the time, if you're into Korean architecture or models, Korean companies produce more, and better, sets.